This has become the first big tournament of the Spring! The Oklahoma Restaurant Association will host the 2019 ORA Golf Classic on Monday, April 22 at the beautiful Oak Tree National course! The ServSafe® re-certification courses are held from 8:30 a.m. - 1:00 p.m. In order to be eligible for re-certification you must be within 30 days of the expiration date on your certificate. This is NOT the same as your ServSafe Certificate, which has a 5 year expiration. Odyssey de Culinaire is a fundraising and awareness dinner to benefit the Oklahoma ProStart® Program. This ever-popular event, which is open to the public, features 2 great evenings of dining with many of Tulsa and Oklahoma City's finest chefs being featured in their home cities. Each of the five courses features a chef mentoring a culinary student to treat attendees to an incredible five-course meal. Experience an energetic evening and make an impact on culinary education in Oklahoma! Join us for one or both Odyssey de Culinaires - the Oklahoma Restaurant Association's only event open to the public! Isn’t it time for your next big find? The ORA Expo is just the place to discover new products and trends, whether you’re a new operator or a veteran. Join us for the 2019 ORA Expo and stay ahead of the competition! Questions? The 2019 ORA Expo will be held August 13 & 14 at the Bennett Event Center at State Fair Park in Oklahoma City! 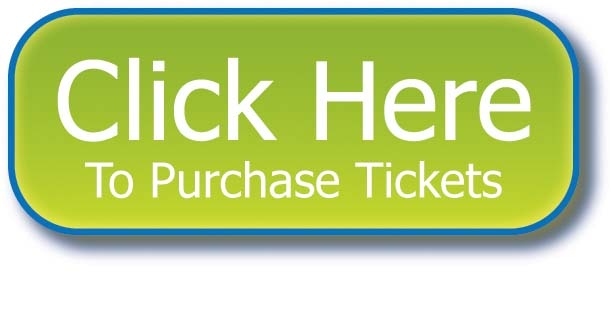 Click here to see the floorplan and start planning your visit! Support Oklahoma’s most talented bartenders as they compete for prizes in the Oklahoma Restaurant Association “Cocktail Shakedown." This exciting competition takes place during the first day of the ORA Expo. 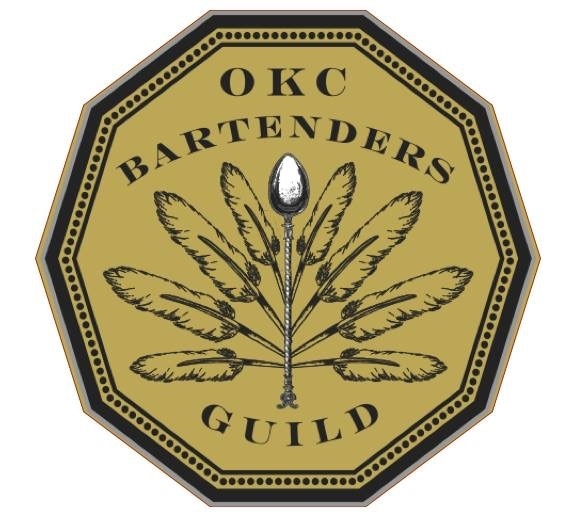 Bartenders from ORA member restaurants will put their skills and abilities to the test as they compete to move through four timed rounds of cocktail preparations including the Championship Round. As each bartender lifts a shaker and creates his or her requisite signature concoction, they race the clock to create innovative and crazy delicious cocktails that will be judged on taste and balance, originality, drink presentation and stage presentation. Each round reduces the number of talented competitors, until two finalists compete for the grand prize! The official application will be live on June 1, 2019. Get a better idea of what the Cocktail Shakedown is all about! The Culinary Cook-off is a cooking competition that takes place during the ORA Expo. Oklahoma's most talented chefs will race the clock to create dazzling dishes using a mystery basket of ingredients. Chefs will compete in various heats until the contest is narrowed down to the last two chefs. Judges will consist of a panel of industry professionals who will critique each competitor on plate presentation, creativity, product taste, and sanitation practices, among other things. For each contestant, the high and low scores will be discarded. Chefs will be competing for a trophy, medals, and cash prizes. In addition to the First and Second place winners, Third and Fourth place winners will be decided upon based on points during the Semi-Finals heats. Thirst for a Cause, an annual event started in 2009, raises funds to help with urgent medical expenses for members of Oklahoma's hospitality industry. Through our non-profit Oklahoma Hospitality Foundation, we are able to give something back to the hard-working employees of independent restaurants and country clubs. Thirst for a Cause was established to meet the extreme medical needs of persons employed in the restaurant industry in Oklahoma. Funds are limited and will be awarded based on demonstration of need to long-term employees in the restaurant industry. Aid to individuals may only be provided if such individual has no other means to receive needed support, such as from insurance, government assistance programs, etc. Monetary support will not be granted directly to the individual, but to the entity supplying goods and services to the individual, i.e. hospitals, physicians, etc. 2019 marks the 11th year for the event and also promises to have an even better line-up than last year, with 30 premium wineries serving over 200 great wines and 10 local restaurants! As you walk around and sample food from some of Oklahoma City's best restaurants, you'll be able to meet and interact with winemakers from all over the wine world. These vintners, who represent some of the best wines available in the country, are coming all the way to Oklahoma to help raise money for our cause. This is THE best wine tasting event of the year! Nowhere else will you be able to meet this many vintners, taste this many great wines, and sample this much amazing food under one roof - right here in OKC! The Oklahoma Hospitality Foundation is a 501(c)3 charity, so your purchase is partially tax deductible and nearly 100% of the money raised at this event goes directly to the charity--not to cover costs. Tickets are $75 in advance and $89 at the door. The goal of ORA Academy is to offer continuing education and professional development to particular demographics of ORA’s membership. Each Academy date will consist of two two-hour sessions - one in Management/Front-of-the-House training and one in Culinary/Back-of-the-House education - held quarterly. With the exception of the April Academy, all Management sessions will be from 9-11 am and Culinary sessions will be from 1-3 pm, and each session will be $25. Registration is transferable but non-refundable. Isn’t it time for your next big find? The Oklahoma Restaurant Convention & Expo is just the place to discover new products and trends, whether you’re a new operator or a veteran. Join us for the 2021 Oklahoma Restaurant Convention & Expo and stay ahead of the competition! Questions? Held each November, the goal of the Hirst Hospitality Awards is to recognize and honor the hardworking employees in the foodservice industry. The event pays tribute to the backbone of the restaurant industry - the restaurant employees. This members-only event gives employers the opportunity to single out and recognize their best workers, acknowledging the value of a good staff. "This evening of celebration is a wonderful opportunity for our members and friends of our business to get together and honor those employees who often go unrecognized but who are so important to the success of the foodservice industry," says Jim Hopper, President and CEO of the Oklahoma Restaurant Association. The Hirst Hospitality Awards Dinner helps us reach two very important goals. First, to celebrate employee excellence, and to recognize their personal pride, service and dedication to the restaurant industry. Second, to support the Oklahoma Hospitality Foundation's goal of providing scholarships to qualified students of the hospitality industry. Our goal is met not only through paid attendance at the event, but with contributions made during the auctions as well as additional fundraising activities. Want a better idea of what this evening entails? Check out the following! On February 5, 2020 members of the Oklahoma Restaurant Association, Oklahoma Hotel & Lodging Association, and Oklahoma Travel Industry Association will join forces for Hospitality Day at the Capitol, a members-only event where we will spend time speaking to legislators about issues facing our industry. Then members will mingle with more than 500 members and legislators while we do what we do best - show these leaders Oklahoma hospitality! - at a bigger and better-than-ever “A Tasteful Affair” Legislative Reception. 2019 marks the 30th anniversary of "A Tasteful Affair" and will feature more than 20 of Oklahoma’s finest restaurants showcasing their culinary tastings at what is heralded as the state’s most successful and best attended legislative reception. Join ProStart® educators from across the state for a day of educational topics including nutrition and sustainability. There will also be hands-on culinary training and you'll receive pertinent information about the State Competition. Contact Chandy Rice for more information.